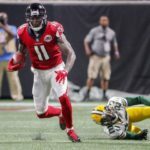 Everything looked fine in the secondary when Green Bay’s front seven was dominating the Seattle’s woeful offensive line in week 1, but things didn’t go nearly as well in week 2 when the pass rush was much less effective against Atlanta’s solid O-line. Given time, Matt Ryan played pitch and catch with his receivers. 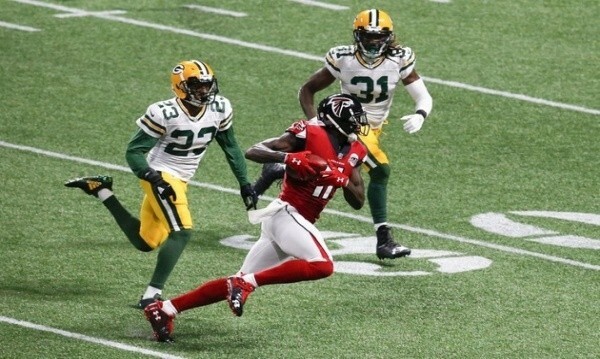 Davon House, Damarious Randall and Quinten Rollins were no match for Julio Jones and Mohamed Sanu, who combined for 10 receptions and 193 yards. To be fair, not every team has an MVP quarterback and an All-Pro at wide receiver, but it’s pretty obvious House, Randall and Rollins are much better suited to be backups. That’s exactly what House was for five of his first six seasons in the league, including four with Green Bay. And while Randall and Rollins were drafted high in 2015, neither has done anything to suggest he should be starting on a defense that wants to be still playing football in early February. In the first video below, House has no idea what he’s doing. Unless his job is to cover an invisible receiver or guard the brand new turf, he obviously messed up. And this wasn’t the only time No. 31 showed very little in the way of awareness. In the second video, Rollins (#24) reacts poorly when the Falcons stack their receivers. It’s like he’s never seen this before. The result is a way too easy 14-yard completion to Jones. Defensive coordinator Dom Capers should give rookie Kevin King and second-year man Josh Hawkins a chance to start. 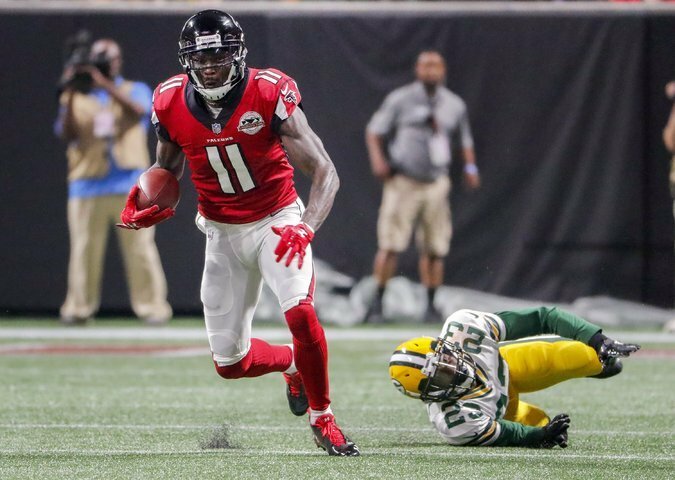 King played very well against the Falcons. He didn’t seem to be the least bit intimidated by Jones, and more importantly, he had the size and speed to cover him all over the field. The second-round pick from Washington did struggle a bit with Atlanta’s smaller and quicker receivers, but hey, he wouldn’t have been available at 33 if he were free of warts. As for the speedy Hawkins, he’s only played one snap on defense in two games, but the former undrafted free agent was very impressive in training camp. Would the Packers have to live with some growing pains if King and Hawkins were the starters? Absolutely, but so what? It would be well worth it if the talented youngsters developed into a dependable duo come January. Besides, Capers could always go back to his more experienced corners if need be. As for Randall and Rollins, let them compete to play the star position in the nickel. Both have different enough skill sets to be used depending on the opposition. Alternate them week to week, or even series to series. We’ve all seen what House, Randall and Rollins can do, and it’s simply not good enough. Quality defensive coordinators – and Capers – shouldn’t be afraid to use young players. Speaking of which, I’d also like to see more of rookie Josh Jones and less of Kentrell Brice, the media darling who’s never been more than a JAG. Whether Jones plays linebacker or safety in the sub-packages, he needs to be on the field a lot more. The second-round pick from North Carolina State is much bigger and a little faster than Brice and possesses a considerably higher ceiling. Playing him with King and Hawkins would finally give the defense the kind of athleticism needed to compete in today’s high-octane NFL. And while it might not always look pretty in September and October, it would have the potential to look beautiful come January and (hopefully) February.